iMovie is good, you may be looking for better editing video alternatives for your students’ iPads, like Avid Studio, Reel Director, Silent Film Director, and CollabraCam. The additional features offered by some of these video editing apps for iPad may be just what your students need to explore the boundaries of their creativity. Avid Studio allows you to add and edit up to three additional audio tracks in your movie. Use them to create complex sound effects, audio transitions, and more sophisticated background audio. Transition effects between clips are enhanced with a far larger range of options, including high-quality dissolves and fades. Create professional titles with full control over fonts, sizes, colors, rotation, and more. 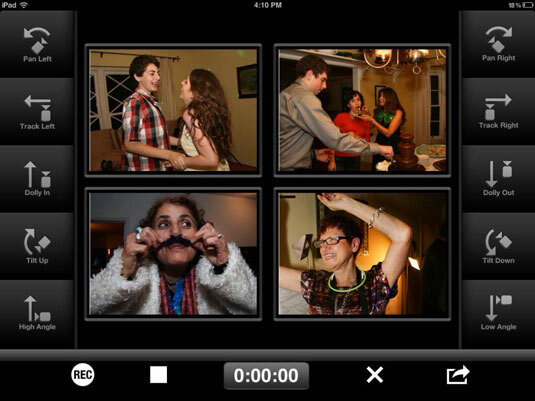 Reel Director: This is another popular video editing app for the iPad. Reel Director excels with tools for adding titles and subtitles, and includes an impressive range of transition effects. Silent Film Director: This is actually an iPhone app but takes an extremely unique and creative slant on videos by turning them into old-fashioned silent movies. Add music, titles, and transition cards, and vary the playback speed of the video. If you update with the in-app purchase, you’ll get additional functions, including the option to add retro music to your silent movie. CollabraCam: You thought that just taking and editing video on a mobile device was a leap forward? CollabraCam allows you to simultaneously control, shoot, and edit live video from multiple cameras on other iPads, iPhones, or iPod touches. Each device would need to have CollabraCam installed on it and be on the same wireless network. One device acts as the “director,” viewing, recording, and editing live video streams from up to four other devices. You can also silently communicate with your camera operators and pass along instructions. The final assembled video is exported to the Camera Roll on the director’s device.